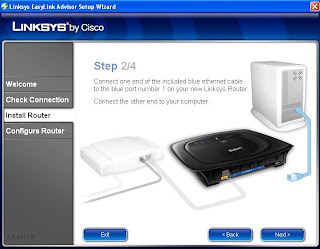 If you happen to purchase and own this Linksys WRT54G2 router for your PLDT DSL, Bayantel and Globe DSL internet you can easily configure by following the setup wizard below. In just few clicks you will be able to use your new router paired to your default telco provided modem. 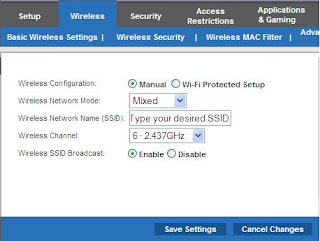 You can set this as your DHCP server and broadcast a WiFi home network to connect all your wireless capable devices like laptop and smartphones. 2. Click Start Setup to proceed the installation. 3. Select your language and click Next. 4. 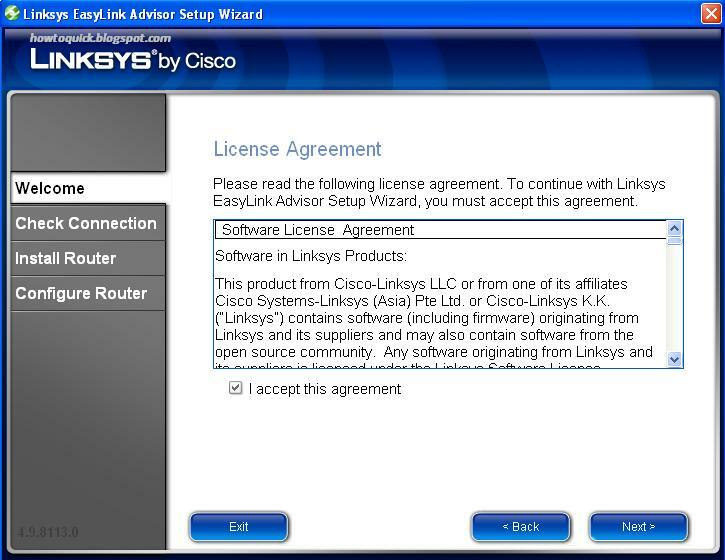 Tick the I accept agreement and click Next. 5. Unplug the existing ethernet cable from your computer and plug it into the yellow port labeled internet on the back of your Linksys router. 6. Connect on end of the included blue ethernet cable to the blue port number 1 on your new linksys router and connect the other end to your computer. 7. 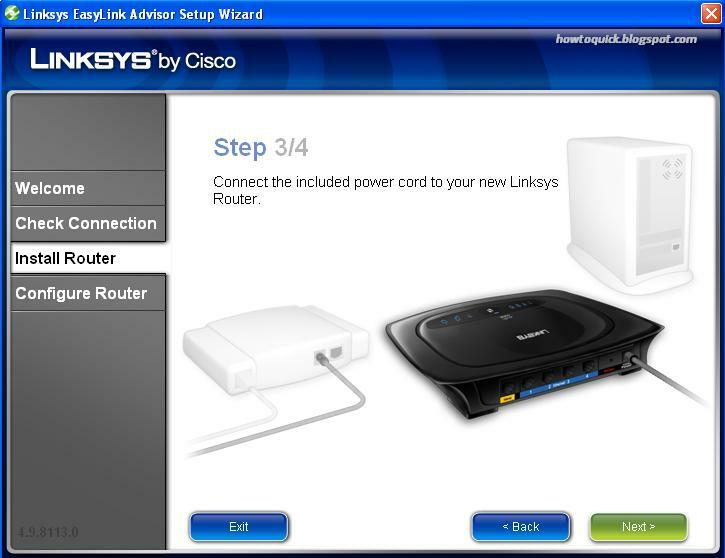 Connect the include power cord to your new Linksys router. 8. Plug the other end of the power cord into an electrical outlet. 9. 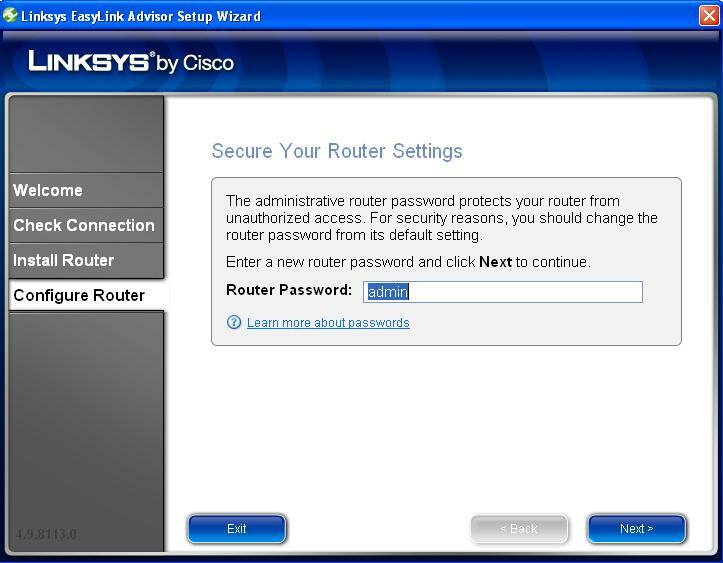 Configure your router to avoid unauthorized access. 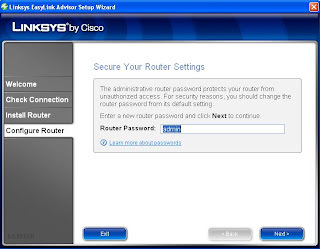 Key in your desired password to protect your router. 10. Give your network name also known as SSID, this one will identify your router when you want to search and connect. 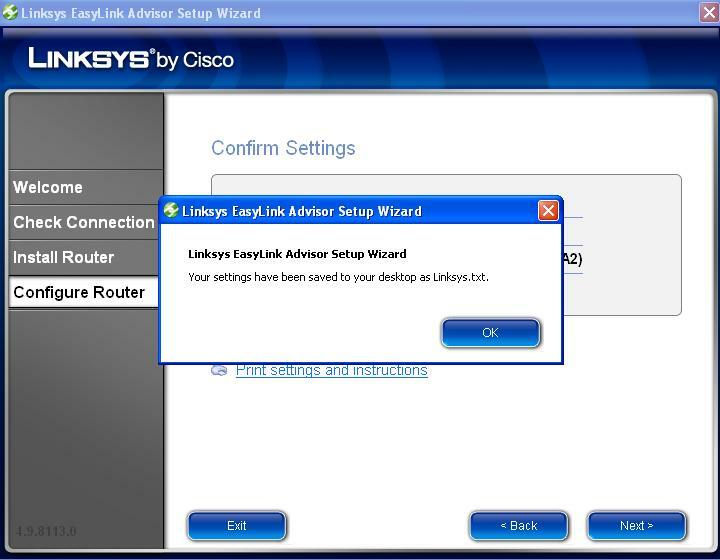 By default your SSID is "linksys". 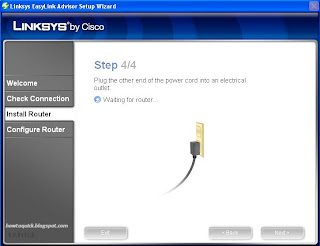 You can change it during this step or you can also do it later. Click Next. 11. 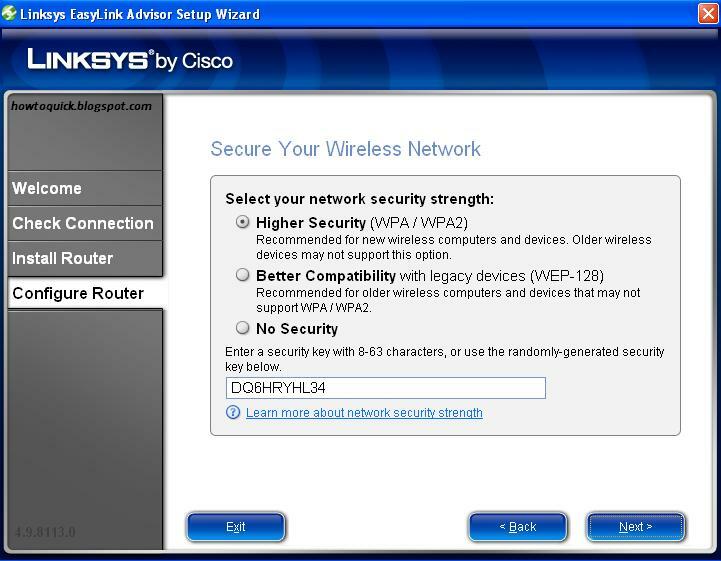 Select your network strength. 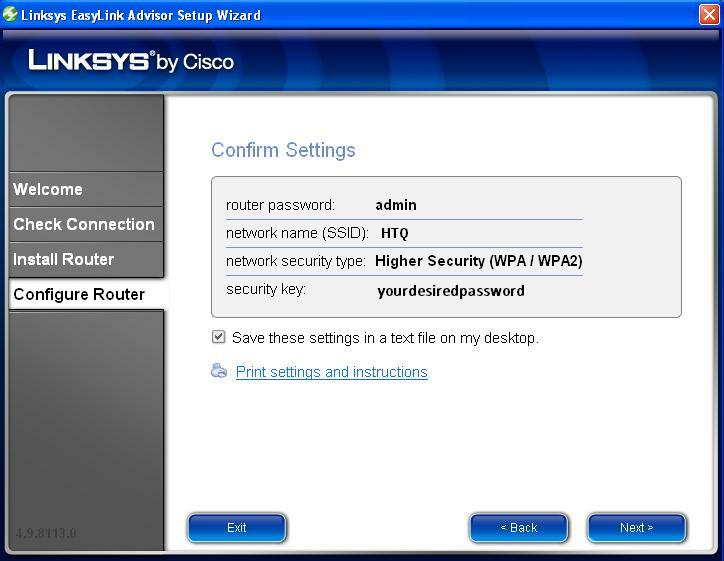 In this step you can set your wi-fi router password. You can also change it later if you want. Click Next. 12. Next screen is just an information menu that looks like below. Just click next. 13. Next is the Summary of your settings. 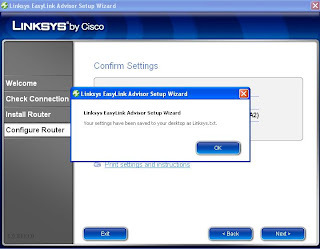 Click next if everything is correctly setup. 14. 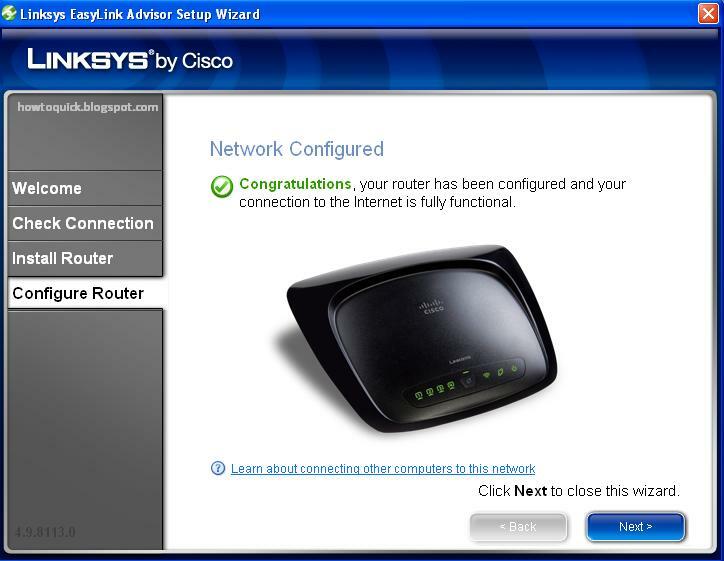 After Clicking Next, a pop menu will appear asking if you want to save your router settings. 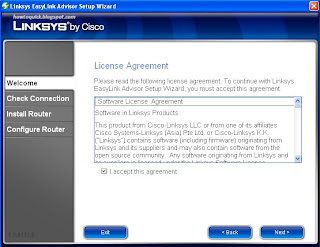 Click Yes/No. It's your choice if you want to save the configuration. Then click OK and proceed to next process. 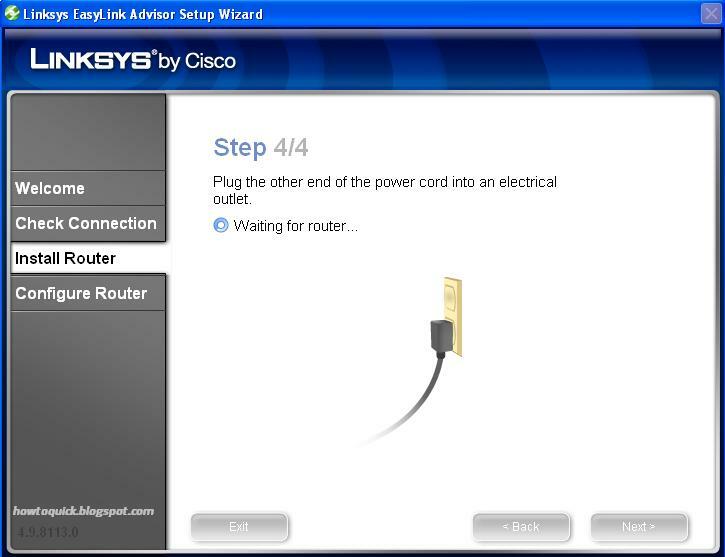 15 .Follow the instruction until you see the "Network Configured" on your screen. 16. Click Next and Finish Setup. 1. Open your web browser and type your routers IP address in the address bar. 2. 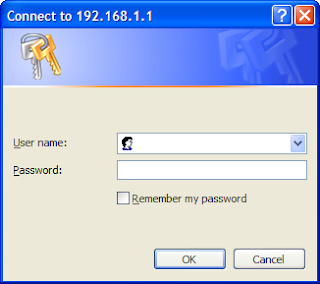 You will be prompted by your routers username and password. 3. After logging in, your now in your router Setup tab. 4. You may put some details on your router if you wish then click Save. 5. Next thing is securing your connection. Click on Wireless Tab. 6. In Network Mode by default select "Mixed" , type your desired Wireless SSID, this will diplay when you will search your wi-fi router on your laptop or mobile. 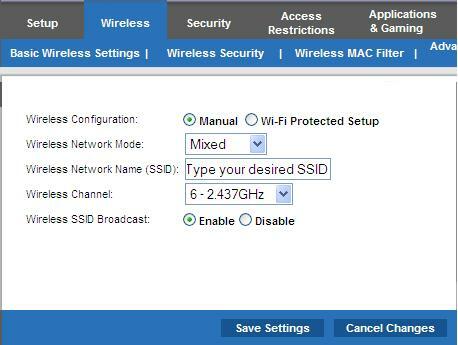 Ticking "Enable" means your router is visible on searching. Click Save Settings. 7. 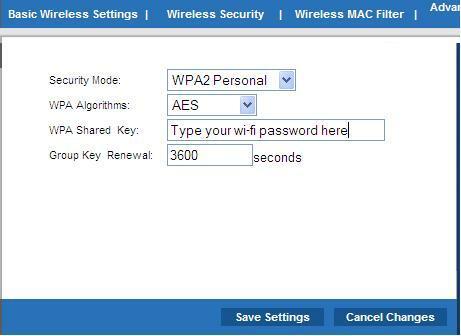 To put a password on your Wi-fi router. Click the button "Wi-Fi protected Setup", and the screen below with appear. Just type your password. Click save once done. 8. That's all, if you have question feel free to post it here. 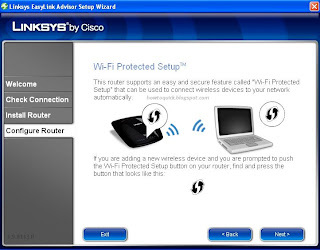 You can hide your WiFi network SSID to avoid being scan by unwanted users. 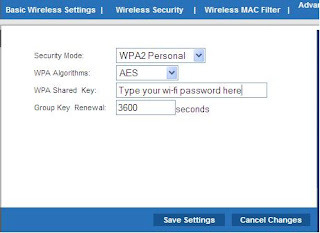 Just simply add your network manually on your phone and laptop by providing the correct SSID and security encryption plus the password or pass key.